Russia has a deep-rooted involvement in the conflict in eastern Ukraine, a report started by murdered anti-Kremlin activist Boris Nemtsov claims. No one country in the world conducts so many secret operations. It's just impossible in a democratic society. But here, it's possible. Finished by his allies in the Opposition, the 65-page document is entitled ‘Putin. War’. It suggests at least 220 Russian soldiers have died in battles in the neighbouring country over 12 months from May 2014. Some 2,000 copies have been released. 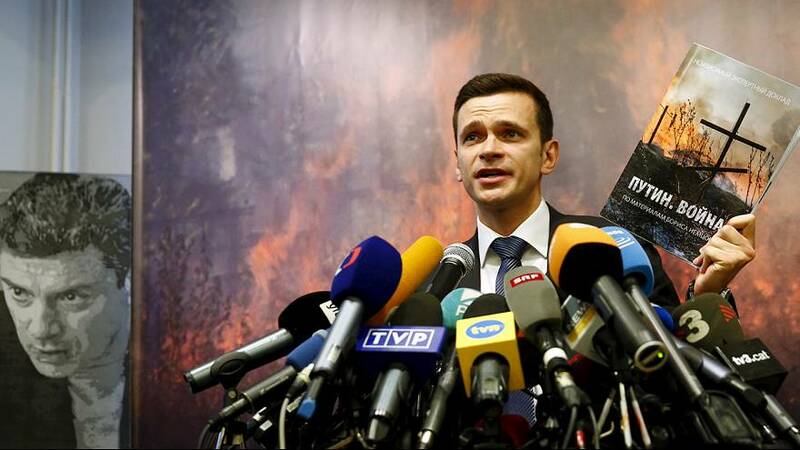 Opposition leader and friend of Nemtsov, Ilya Yashin, co-authored the report. Russian President Vladimir Putin says the motive behind his murder remains unclear. Military analyst Pavel Felgenhauer was sceptical about the future impact of the report. The writer for Russian paper Novaya Gazeta spoke to euronews’ Marina Ostrovskaya. “Nobody will accept the report until the Tsar says ‘yes, we’re playing a part in the conflict in eastern Ukraine’ or if, in some years – and I don’t know when – somebody in authority publishes the results of an investigation which admits the truth about our war there,” he said. Moscow denies its soldiers have fought in eastern Ukraine, claiming any Russian nationals engaged in warfare there are volunteers. Felgenhauer said about 46 secret operations were carried out worldwide by the Soviet and Russian armies between 1946 and 2000. The analyst claims material which could have been helpful in compiling the report was confiscated by a police investigation team. As such, he says, the finished product looks laconic and less passionate than it might otherwise have been. Kremlin spokesperson, Dmitry Peskov, told reporters he was unable to comment on the report, as he had not read it.